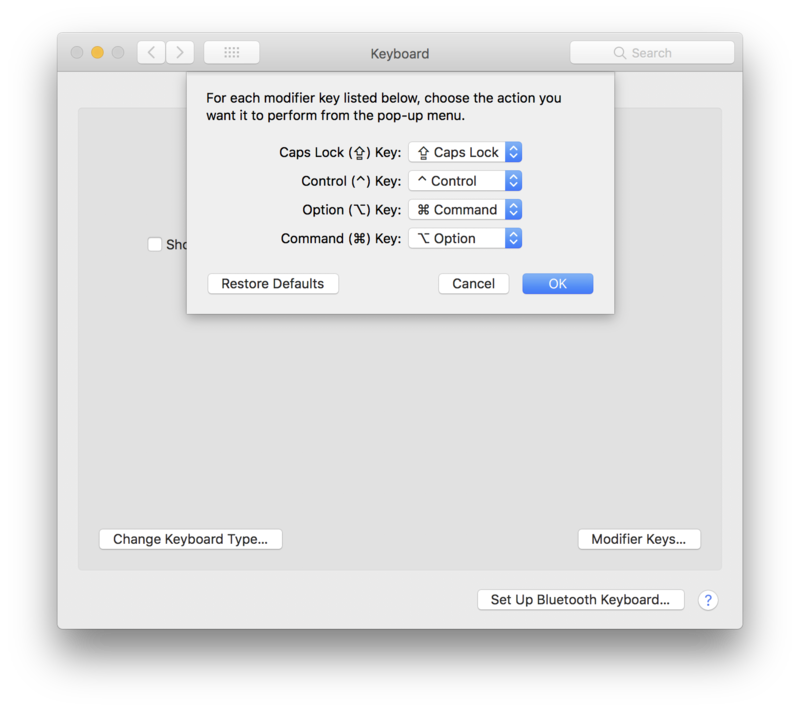 Using Windows Keyboard on Mac OS X | Christoph Bartneck, Ph.D. So I took chance and bought a Windows layout Logitech G Pro Mechanical Gaming Keyboard. Logitech has a Mac version for the keyboard software so it should work on Mac OS X. Or so I thought. They keyboard itself is great and I was able to use Logitech’s software to define colours for group of keys, such as green for numbers, blue for letters and red for delete buttons. 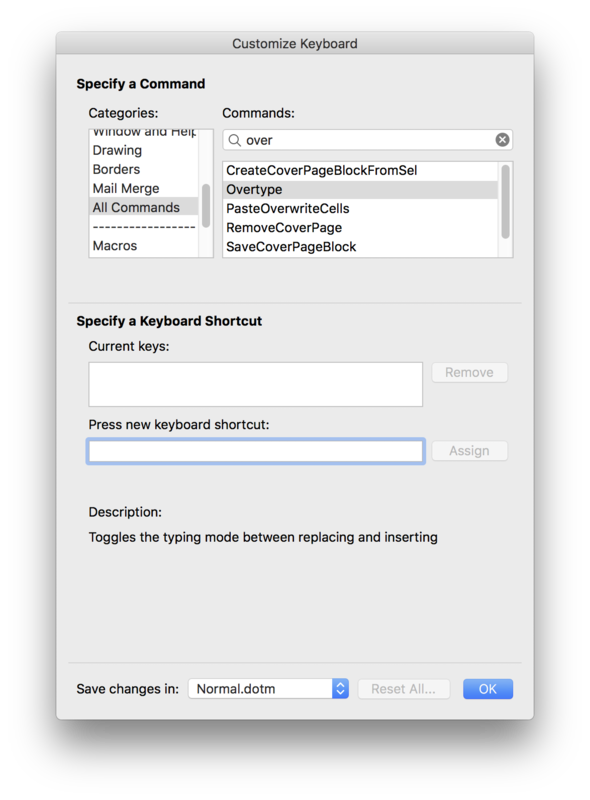 I was also able to use Mac OS X system preferences to swap the control, option and command keys back to their natural sequence. That was an easy fix. It was also easy to assign macros to the Function Keys using Logitech’s Gaming Software. There are, however, some issues. First, some keys cannot be used, such as the Menu Key. There is no Mac OS X equivalent and the Logitech software does not allow you to assign any custom functions to this key. The key does seem completely useless. Second, only the F1-F12 keys can be changed using Logitech’s software. F13-F15 also know as Print Screen, Scroll Lock and Pause button are almost useless. The Print Screen button has not Mac OS X equivalent, so the prime function is again useless and cannot be changed using Logitech’s software. 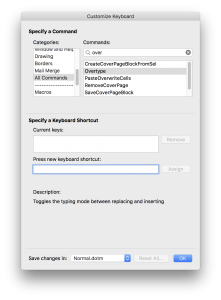 You can, however, use the Mac OS X Keyboard Shortcuts menu to assign the Mac OS X Screen Shot function to F13. Third, the Insert button does not work and cannot be assigned an equivalent function in Mac OS X or Logitech’s software. It is possible to enable the Overtype Mode in Microsoft Word but this change cannot be triggered by the Insert key. You can, however, assign another key to toggle the mode, such as the F13 key. Other text editors, such as ShareLatex can toggle their writing mode using the Insert key on Mac OS X. So it comes down to the text editing software to support the Insert key on Mac OS X. Overall I am very happy with the keyboard and giving colours to groups of keys is very useful. The feeling of a mechanical keyboard is just great and even though some functionality is not fully working on Mac OS X, it works good enough to be useful.